The Sinquefield Cup was first introduced in 2012 as a four-player round robin, but since 2015 has become part of the Grand Chess Tour. This year it will be the third leg and the first slow time control event of the tour. The 2016 Sinquefield Cup is going to be a special treat for U.S. chess fans not only because it’s the only event of the tour that takes place on American soil, but it features the top three U.S. players. After two grueling events in Paris and Leuven, four-time US Champion Hikaru Nakamura and U.S. #3 Wesley So share the lead in the tour. 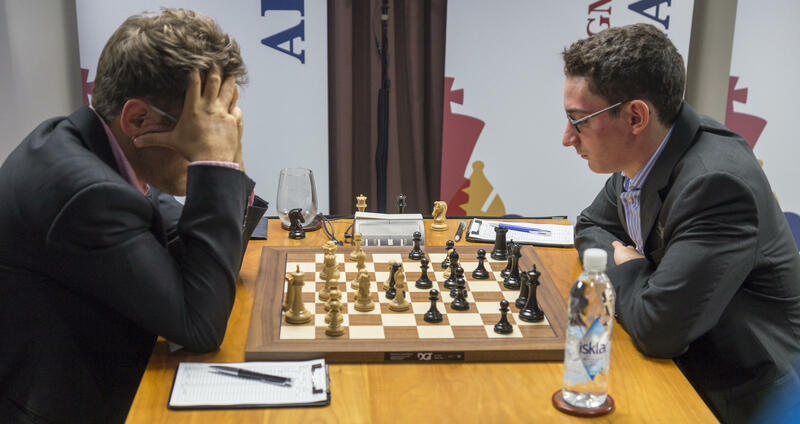 Levon Aronian, left, defending Sinquefield Cup Champion and Fabiano Caruana, defending 2016 U.S. Champion play in last year's Sinquefield Cup. Current U.S. champion and highest rated player in the U.S., Fabiano Caruana, did not fare well in Europe as he struggled with the faster time controls. Chess fans no doubt remember his phenomenal performance in the 2014 Sinquefield Cup where he won his first seven games. The U.S. champion and St. Louis resident will be looking to repeat his impressive performance, as he seems to have his best results in St. Louis. The defending champion, Levon Aronian of Armenia, will make his third appearance in the Sinquefield Cup. His friendly demeanor and sense of humor make him a big fan favorite even when his results are subpar. Former world champion Viswanathan Anand from India, Anish Giri from Netherlands, Maxime Vachier-Lagrave from France and Veselin Topalov from Bulgaria will be returning to St. Louis. Ding Liren of China and Peter Svidler of Russia will be making their debut in the tour here and will complete the field. Svidler is known as one of the best and friendliest commentators in the world and has replaced former world champion Vladimir Kramnik, who had to withdraw due to health problems. As the rapid and blitz portion of the tour are over, the classical time controls will offer a new kind of excitement. American fans were thrilled when just last month Hikaru Nakamura defeated current world champion Magnus Carlsen in a classical time control game for the first time ever. There also have been some shifts in the world top rankings: Maxime Vachier-Lagrave has recently joined the prestigious 2800 rating club and sits comfortably in the #2 spot with his new 2819 rating. He’s coming off of a win in the Dortmund Masters as well as a win over Peter Svidler in a four-game match. The Frenchman will be one of the most exciting players to watch. Fans will also be excited to welcome Ding Liren to the tour, the highest rated blitz player in the world, who surpassed Magnus Carlsen by just two points. Veterans Vishy Anand and Veselin Topalov along with Anish Giri, who has a reputation for being super solid and not winning enough games, will all be looking to improve their overall tour standings and to shake off their suboptimal results so far. 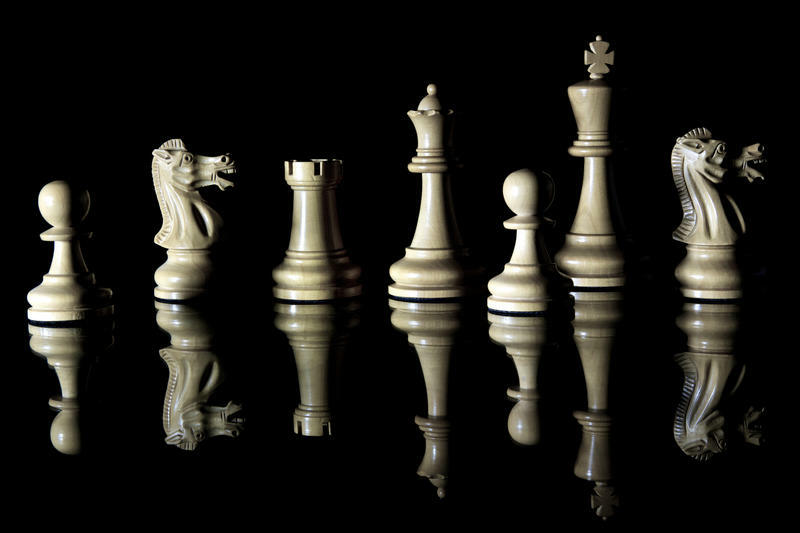 The chess world awaits the beginning of the action with big hopes and anticipation. The festivities kicked off Aug. 1, as several players attended a soccer match in Busch Stadium. On Aug. 4th the fans will have a chance to meet their favorite players during an autograph session starting at 4 p.m. at the Kingside dinner, adjacent to the Chess Club and Scholastic Center. The games will start at 1 p.m. Aug. 5 and end on Aug. 14. The event will be wrapped up with the fun Ultimate Moves match on Aug.t 16, which will include legendary former world champion Garry Kasparov. WGM Tatev Abrahamyan started playing chess at 8 after her father took her to the 1996 Chess Olympiad in Yerevan, Armenia. There she met Grandmaster Judit Polgar, arguably the greatest female player of all time and the only woman in the tournament. Currently the third highest rated female in the U.S., Abrahamyan has represented the United States in four Olympiads and two World Team Championships since 2008.